This solution has 4 positive votes and 0 negative votes. Please log in to vote. The Collector is a boss that can be found in the Tower of Love in the City of Tears, which requires the Love Key to access. 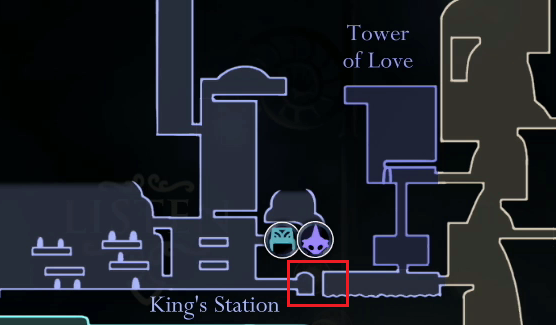 To get to the Tower of Love, go to the King's Station Stag Station and take a hidden path in the room below accessed by jumping into the water and swimming under what appears to be a dead end. The lower entrance to the Tower is blocked for now so make your way through Kingdom's Edge to the upper entrance where you can use the Love Key to gain access. The collector shouldn't be much of a challenge. He will drop in and jump around a bit before jumping back into the ceiling. He will also throw down jars with enemies that you want to to try to kill quickly so they aren't an interference. This achievement unlocks after the Collector is defeated. Be sure to go one level above the boss area to rescue three grubs and acquire the Collector's Map which will show any remaining grubs on your in-game map. There are currently no gaming sessions for the Secret Achievement achievements that you can join - why not register and make a new session?